My old computer running XP has died a death and my new one uses Windows 8, and I am on a steep learning curve. I had backed up my email onto a portable hard drive, and it is saved as .dbx files. Is there any equivalent of Outlook Express in Windows 8, and/or any way I can download these files so as to access all my old messages (in and out) and email addresses. Help! NOTE: When you install either version, there will be an option to install only the applications you want (e.g., Windows Live Mail; Windows Photo Gallery/Movie Maker) or the entire suite (also includes Windows Writer, SkyOneDrive, etc.). 2. Once you've gotten Windows Live Mail installed, create a new desktop folder (name it, e.g., DBX FILES for convenience) & place a copy of your DBX back-up set (i.e, all of your DBX files including FOLDERS.DBX !!) in that folder. 3. VERY IMPORTANT! => Open the folder you created in Step #2 above | Select all [CTRL+A] such that all the DBX files are highlighted | Right-click on the group of folders | Select PROPERTIES and uncheck the READ ONLY box (assuming it's already checked). 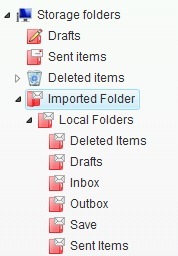 Once your OE messages have been imported, they can (a) remain in that location, (b) be moved to user-created folder within the Storage folders (per the illustration above), or (c) be moved to a user-created folder within an email account (other than a Hotmail account) you set up in Windows Live Mail (i.e., to access your new messages).